Meet Emmett, Katy Duck’s little brother! 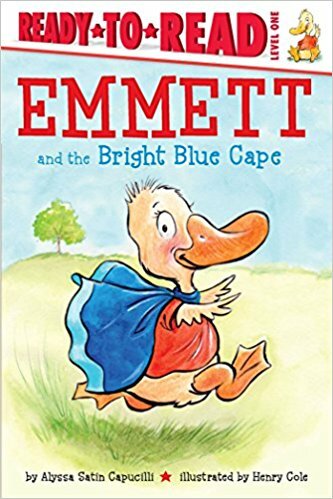 In this Level 1 Ready-to-Read, Emmett puts on his bright blue cape and becomes Super Emmett! Emmett loves his bright blue cape. He wears it to the park, he wears it to the store, and he even tries to wear it to bed. With his cape on, he isn’t just Emmett, he’s Super Emmett! So what happens when Emmett’s bright blue cape goes missing? How will he be super now?